Cloud Landscapes Ltd are dedicated to designing and installing driveway paving and patio paving throughout Chichester and the surrounding areas. We pride ourselves on quality workmanship and have built and excellent reputation through customer feedback. Our Checkatrade page is regularly updated to ensure a high standard of workmanship is always maintained. Our expertise in designing and creating patios comes from years of experience providing high quality landscaping and gardening services to our customers throughout Chichester and West Sussex. 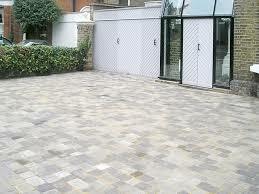 Block paving is an attractive solution for many homes and outdoor spaces. From driveways to courtyards and garden spaces, our team of experts are here to help.